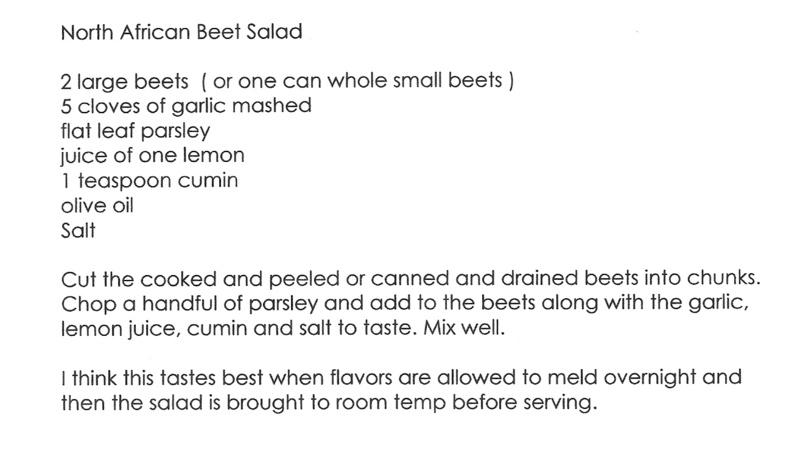 I’m not sure which is better…the simplicity of roasted beets alone or a salad that elevates them to an entirely new level with the addition of only a few simple ingredients. 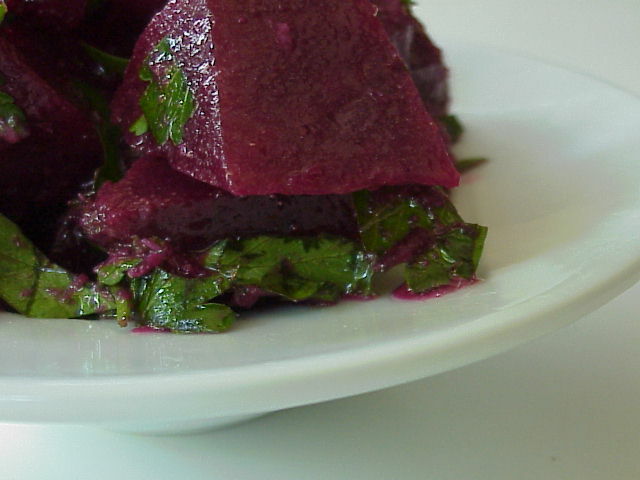 This North African beet salad was shared by a friend and I have to say I make it all of the time now as part of a Mediterranean Mezza of Hummous or Cannelini bean dip, olives, pepperoncini, Feta and some great bread. 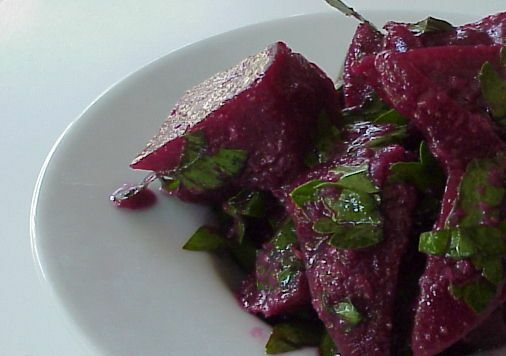 I first made this with canned whole beets cut into chunks because I couldn’t wait to try it …and it was fantastic. It only gets better if you’ve have the time to roast some beets from the farmers market. Either way, you will not be disappointed…you might even want to start by doubling this recipe. I’m so happy you like it, so simple and so yummy.